Freaks of the Game — The Mongrel Punt Become a Patron! It's not the nicest title to bestow on someone in day to day life, but in a football context, it is a great compliment. It means you're blessed with a skillset that very few possess. You can do the things others can't. You can make something out of nothing, whether it be with incredible athleticism, perfect anticipation, or both mixed in with a little luck. These players have made the hair on the back of your neck stand up. They’ve done the impossible and some have even taken a moment or two to tell you all about it. Some have dribbled goals from the boundary line before other players even contemplated the way the ball curls as it bounces. Others seemed to have a sixth sense to find a teammate, or indeed a brother in the heaviest of traffic, and then there were those who seemingly made a habit of doing the incredible on a weekly basis, as though they were touched by the divine. But who are the best? Who are the most freakishly talented players to lace up the boots and do the miraculous to astound supporters all over the country? The Mongrel brings you the Top Fifteen Freaks of the AFL. Picture this. Your career is all but shot. You’ve been hobbling around the ground for the better part of a month, fending off speculation that you’ll be dropped, and won’t be able to regain your spot in the side. Do you drop your head? Or do you stroll out onto Spotless Stadium and slot through six goals to shut people up? Johnson shut people up. Stevie J was always extremely talented, but a five week, club-imposed suspension in 2007 was the foot in the backside he needed to start taking his footy a little more seriously. He won the Norm Smith Medal that year and built an amazing career for himself both at Geelong and with Greater Western Sydney. Johnson had a knack for keeping his feet and reading the ball in flight better than those around him. After kicking his seventh goal against the Suns in 2011, he repeatedly yelled “Cash or credit?” at Gold Coast defender Campbell Brown without giving him much context. The next day, a confused Brown asked teammate Gary Ablett what the hell Johnson was on about. Ablett laughed and said “You had front row tickets to the Stevie J show – how did you want to pay for that?” The game is poorer without him on the field. To say Bosustow burst onto the VFL scene would be an understatement. Joining a powerhouse Carlton team in 1981, the ‘Buzz’ won both Mark of the Year and Goal of the Year in his debut season, but his high marking, goal kicking exploits had already been on display for Perth since 1975. He won two premierships in the WAFL before being lured East to the VFL, and returned to Perth in 1984 where he played until he retired in 1987. It was his three years with The Blues that most will remember. Rarely does someone capture the imagination of a city the way Bosustow captured footy fans in Melbourne. He was a ready-made product who did the spectacular and made it look easy. His Goal of the Year winning effort saw him commit a perfect smother, bounce to his feet and snap the ball over his left shoulder from the VFL park boundary. It brought the house down, and rightly so. The Buzz is often forgotten when talking about greats of the game, due to his limited tenure in the VFL, but in terms of players with an uncanny ability to do the amazing, he’s right up there. Whilst I never saw Farmer play, all you have to do is listen to an old-timer talk about him. They usually smile knowingly when they reminisce about Polly Farmer. He was a man who not only revolutionized ruck work with deft taps and thumping fists to his team’s advantage, but was also a pioneer in terms of using the handball as a potent offensive weapon. Farmer would consistently hit a teammate in stride thirty metres away, kickstarting an attack. Farmer would practice his handballing through the open windows of cars at the car yard where he worked. Fellow Geelong legend, John ‘Sam’ Newman credits farmer with “teaching me everything on the football field.” High praise. Not many can be credited with changing the way a sport is played, but Polly Farmer is one who can. The Big 3 became the Big 4 when Tony Modra exploded onto the AFL scene. You had Lockett, Ablett and Dunstall. And then you had to add Modra into the mix as well. After only eight games in 1992, Modra’s stock rose in '93 as he slotted 129 goals. It wasn’t just the big bags that had fans excited. Modra made a habit of sitting on the heads of his opponents and making them regret taking the front spot. He is one of only two men to win three Mark of the Year awards, and added a Coleman Medal to his name in 1997. Modra was incredibly unlucky, injuring his knee in the 1997 preliminary final and missing the inaugural Crows premiership. He failed to get back into the side in time to be part of their 98 flag and moved to Fremantle in 1999 where he played three years, but his career, particularly in Adelaide, is packed with so many extraordinary efforts that they don't get the credit they deserve. There was the 'Wiz' in Sydney who drew a lot of attention, and there was one who came later, from Western Australia. Jeff Farmer is often left out of the conversation about players with amazing natural ability, but he front and centre in the discussion at The Mongrel. 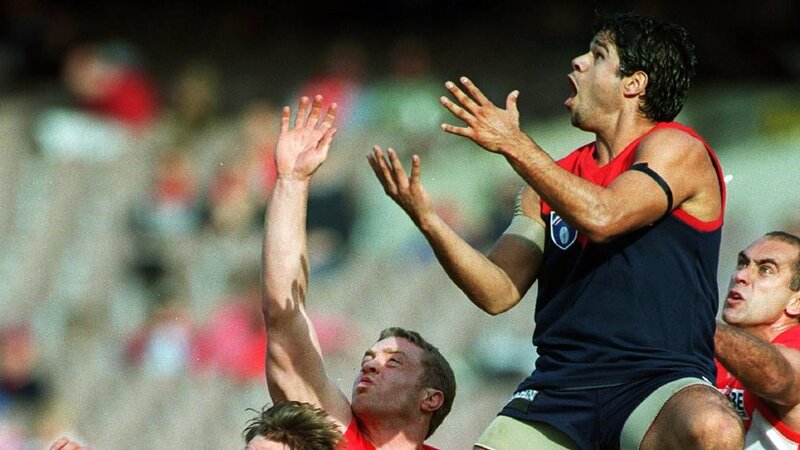 Farmer played 14 years in the league, and amassed 489 goals, becoming the first indigenous player to hit the 400-goal milestone, one of which afforded him the 1998 AFL Goal of the Year award. If you were impressed by Buddy Franklin's goals, take a look at the effort from Farmer against the Hawks. He almost ran the length of the ground to kick his goal, giving the ball off, getting it back, evading multiple opposition players, and slammed it home from outside 50 with players right on his hammer. This goal does not get the credit it deserves as one of the greatest of all time. For a diminutive player, Farmer had some hops, too. His towering mark at the MCG versus Richmond had the Dees fans out of their Range Rovers and returning to the footy, and he'd go on to thrill Freo fans in the second half of his career. On a wet day at Kardinia Park, Jason Akermanis showed what he was capable of. Handstands, controversies and departures aside, Aker was as skilled as they come, and when the ball was wet, his influence increased. 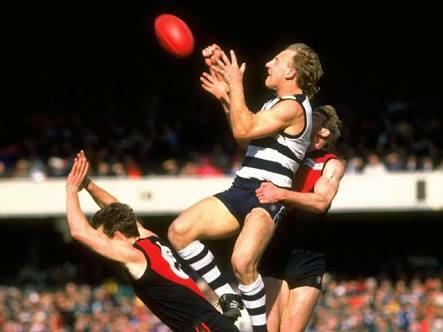 On that day in Geelong, the ball spilled toward the boundary line, and Aker swooped on it. On the right foot he kicked across his body perfectly and slotted the goal. Not too long later, he repeated the dose to ensure those present knew it was not a fluke. He stood there, one hand on his head, and the other covering his mouth in mock surprise. He knew he was good, and he knew he could do it all. Now, you knew it as well. What can you say about Adrian McAdam that hasn’t already been said? That he trained hard, perhaps? I’m pretty sure that’s never been said. Adrian McAdam had the kind of natural ability that players would kill for. In 1993, and in a forward line containing Wayne Carey and John Longmire, McAdam slotted 23 goals in his first three games. He was kicking them from everywhere! Sadly, when other teams started putting a bit of effort into Adrian, and it came time to work on other facets of his game, he didn’t work quite as hard as he should’ve. By the time the 1996 season began, he was no longer on an AFL list. Ok, I'll admit it - there was a time when I thought Darren Jarman was not a big game player. He was incredibly down on himself after Hawthorn’s 1991 Grand Final win, feeling as though he did not contribute enough, and it's true that his influence was minimal. Boy, did he make up for that later on! He returned to Adelaide in 1996 and by 1997 was a premiership star. But it wasn’t just about winning the flag – it was how he contributed. With the Crows trailing the Dogs, Jarman was thrown forward in the last quarter of the Preliminary Final, and proceeded to carry his team over the line, taking the role of key forward as the Crows got home by two points. He backed that up the next week with a five goal last quarter to seal the deal against the Saints and secure the Crows their first ever flag. Jarman always looked a little slow; laconic is the word people used to describe him, yet would step around oncoming players with ease, and throw the ball on either foot to hit the leading forward, lace out. Jarman could do anything, and at times, did. You’ve seen those goals running down the wing from half back at top pace, hugging the boundary, having a few bounces, losing the ball, regaining it, still having enough in the tank to create enough distance to slot through a goal from the boundary. You know… the type of goal childhood dreams are made of? Some players will do that once in a career, if lucky. Lance Franklin has done exactly that three times! He did it twice in a game, for crying out loud. For a man of his size to have the agility, the reflexes and the speed that Franklin possesses is almost unfair to the rest of the competition. On his day, there is no more exciting player in the game today, and that is because supporters know, even if they’re not cheering for the Swans, that they might just get to see something special from Buddy. He’s the guy you pay your money to watch, even when you support the other team. It would almost be a crime to separate them on a list like this. Jimmy and Phil were wizards with the ball. Jim was a little more feisty than his brother, and Phil had a sense of serenity about him that was the perfect counter balance to his volatile brother. When he had the ball, time seemed to slow a little, and he kind of needed it to execute that wonky-looking, but effective left foot kick of his. 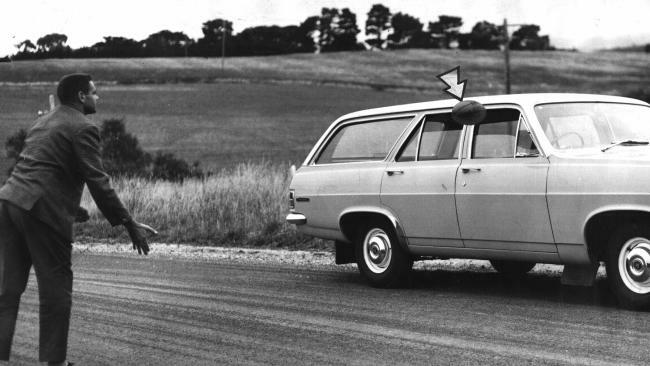 People coined the phrase ‘Krakouer Magic’ when the two would combine, and they would often. One would be at the fall of the ball whilst the other ran by. It seemed as though the ball was only in the hands of one brother for a split second before a handball would be set flying, finding the other brother in stride. Though the Krakouers didn’t obtain premiership glory in the VFL, they did in the WAFL, and put a lot of bums on seats with their intuitive play for the Kangaroos and Claremont before that. People these days often discount KB as a crotchety old dude who sat on the rules committee and won't admit he's wrong on radio. However, Bartlett was a spectacular player, and one of the greatest finals performers of all time. Had there been Norm Smith Medals awarded prior to 1979, Bartlett would have two to his name. His goals against a hapless Collingwood defence in 1980, long after Bartlett had peaked, demonstrated not only his nous around goals, or his penchant for having a shot from anywhere, but also his ability to anticpate the flight of the ball. KB’s reading the ball off the pack was unparalleled and his ability to steady before kicking for goal is something modern players could learn from. Sure he looked old even when he was young, sure has a non-flattering 'Gollum' look about him, and sure he should’ve ditched the comb-over way before he did, but when it came to magic with the football, Bartlett was in a class by himself. How can you not make a list like this when your nickname is ‘The Freak’? James Morrisey had the advantage of playing in a potent Hawthorn forward line. Dunstall and Brereton were the main targets but the Hawks had plenty who could Bob up and kick a few - even Paul Abbott kicked six goals in the ’88 Grand Final. And then there was Morrisey. It seems strange that he only kicked 100 goals in total for his entire career, as he had so many highlights. Morrisey was the kind of guy who did the extraordinary but didn’t really get to do the mundane. He was the one with a toe-poke in a pack that would dribble out and roll through the outstretched hands of defenders to score a goal. He was the one who would find the ball in his hands after it spilled from a contest and he’d throw it on his boot to see it bounce through. You’d call it lucky if it didn’t happen so often to him. Morrisey was a complete freak, and it was his ability to bob up and score the miraculous goal when required that saw him retire as a three-time premiership player. Similar to Adrian McAdam, Allen Jakovich made a name for himself quickly. He is still the fastest player to reach 50 goals in a season, taking only nine games of the 1991 season to do so, despite spending the first half of the year in the reserves. As is the case with many ‘freakish’ players, Jako’s body seemed to let him down. Reportedly a little too fond of a good feed, Jako experienced hamstring issues that saw him gone from the Demons by the start of 1995. A short-lived comeback with the Bulldogs saw him play seven games for seven goals, a tenure which dragged his per game average down below 4 goals per game. Still, memories of Jako kicking 11.8 and one out on the full bring a smile to the faces of Demon supporters even now. Throw in his famous ‘scissor kick’ goal at the MCG in the same game, and you have an idea of what made Jako special. The Macedonian Marvel started football life as a midfielder who went forward occasionally. His career spanned three decades, and by the time he was finished, he was another who’d revolutionised the game. As a midfielder in the mid to late 80s, Daicos would routinely rack up 30-disposal games, as well as drifting forward to chip in goals. His legs looked too short for his body and he had a low centre of gravity. Daicos could change direction and leave opponents in his wake. His body would lurch one way, then head the other, leaving his opponent stumbling behind him. But his biggest claim to fame was his ability to make the ball bounce the way he wanted it to in tight situations. 'Daics' could make the ball talk. He was the first at the highest level to start bending the ball around corners as he bounced it towards goal. 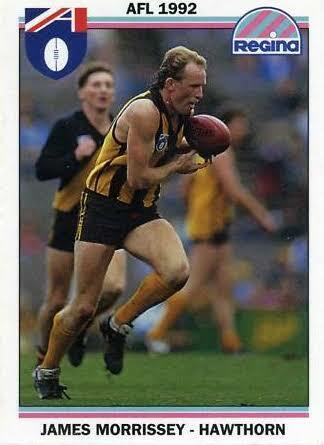 He gained Goal of the Year in 1991 with a spectacular shot from the boundary, and went on to kick a career high 13 goals against the Brisbane Bears in 1991. Daicos was the sort of player to make something out of nothing, and the sort of player to win you games off his own boot. As great as his son is, he cannot rival the old man when it comes to freakish ability. Gary Snr could take a game by the scruff of the neck and shake it until it stopped struggling. No one in the history of the game has had the kind of complete package, on-field, that Ablett possessed. He holds the record for most goals in a Grand Final (9), has three Coleman medals to his name and had the ability to thrill both in the air, or at ground level. 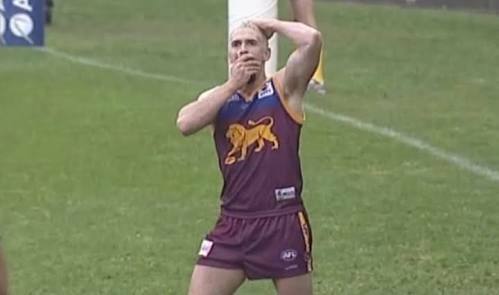 Footage of Ablett brushing aisde two players as the ball spilled forward from the centre square, gathering, taking a bounce and slamming home a goal from 55 metres out is still special today. It’s the sort of thing Dustin Martin or Patrick Dangerfield can do in the middle of the ground right now, but only Ablett could then head down to the goal square and kick a lazy ten. I say a lazy ten goals because he did it so often once he moved forward. He kicked 14 goals three times, including a memorable 14.7 performance in a losing effort against the Bombers, and routinely kicked what looked to be impossible goals. For all his faults. Gary Ablett Snr might just be the most gifted player the game has ever seen, and he was one who put those talents to good use. Got anyone to add? Hit us up on Twitter @themongrelpunt or say g'day on our Facebook page. Newer PostIs Tom Lynch the Jackpot or just Fool's Gold?